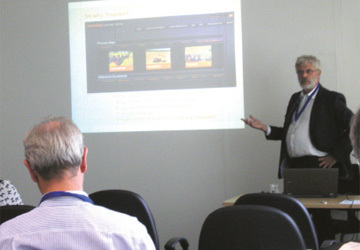 Jim Hotchin, Operations Director, eloquently explained at the 2012 Customer Experience Exchange how Openfield have used the Triaster Solution to drive change throughout their organisation. Firstly Jim introduced us to the combinable crop industry, explaining that the UK crop size is about 20 million tonnes. This is produced by about 10,000 farmers whose ages, attitudes, approaches and skills cover a huge range. The crop industry is driven by the world market. This year's yield is probably the worst in 20 years, both in the UK and worldwide. It is estimated that world-wide there is probably only just enough crop to get through the year. It is a highly volatile market and historically not at all service orientated, with high levels of waste in the supply chain. Openfield is a mutual society owned by farmers. The farmers who contract with them are the owners of Openfield for the duration of the contract. Currently this is 3,000 farmers who produce 20% of the UK crop. Their annual turnover which depends heavily on the prices of wheat is currently about £650 million and they employ 230 staff. Openfield was created on the merger of 'Grainfarmers' and 'Centaur Grain' in November 2008, which were very different organisations. Centaur Grain was owned by farmers set up to deliver to their requirements while Grainfarmers was orientated around the consumer. They each had their own IT systems, processes and cultures, but both delivered low levels of service and paid only lip service to compliance to the Assurance schemes. So quite a challenge! ...so that Openfield will be recognised as the best grain business in the UK, by being an integral part of their farmers' and customers' businesses. 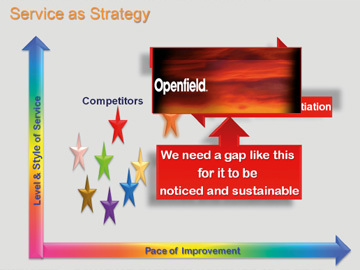 Openfield determined that their excellence would be the product of Service Excellence multiplied by Operational Excellence. They recognised Service Excellence was a strategy to differentiate themselves from their competition, but for this to be successful they would need to create a clear gap between Openfield and their competitors, in terms of the service delivered. They were looking to create 'raving fans', customers who are intensely loyal to Openfield. To do so, they would need to create a distinctive, un-forgettable, value adding, addictive experience that customers could only get from Openfield. They recognised that there are two aspects to this: character and competence. 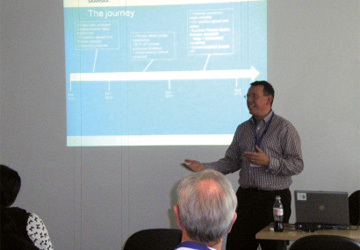 In order to bring in employees with the correct character, Openfield started to recruit people from a service background. This was an entirely new approach and had an immediately positive effect on the culture of the organisation. In order to ensure competence Openfield took a LEAN approach to Operational Excellence and chose the Triaster Solution to enable this. Visualisation of process - not dry manuals! 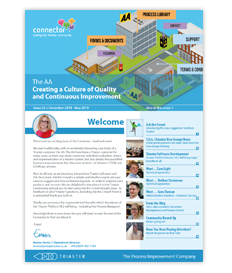 Openfield's Library homepage was designed with the major cross functional processes most visible, but supporting departmental processes accessible and it is now the backbone of the business. 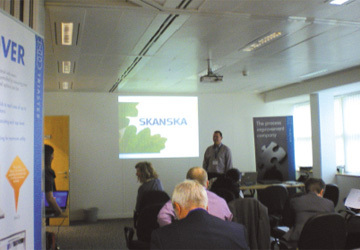 It is the first thing that staff come to on both their intranet and their ERP system. Staff know that the Library shows how Openfield do business and this is where they go to find out what they should be doing. The Library has just helped Openfield to pass an FIAS audit with flying colours - the auditor commenting on how easy it was to use. 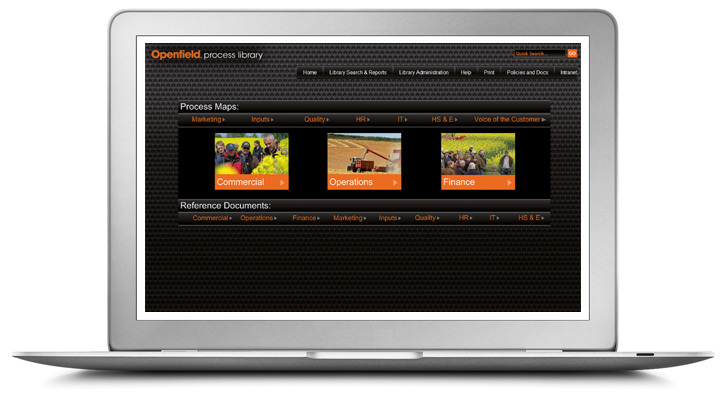 The Library is a core component in Openfield's drive for Operational Excellence. 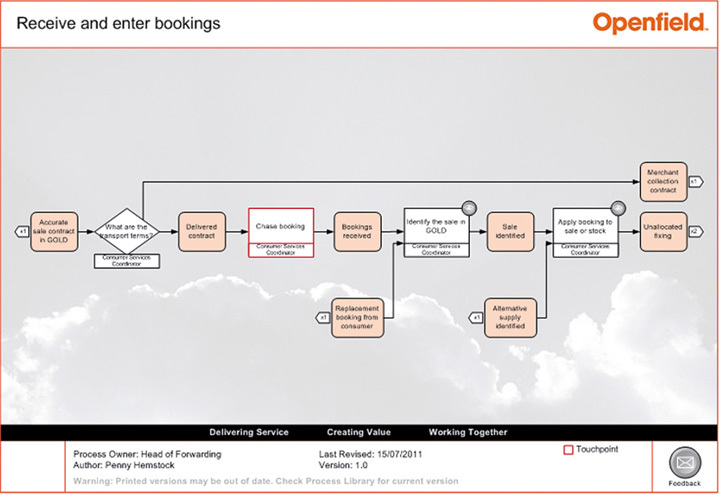 The customer journey has been mapped, with customer touch points clearly indicated in red on the process maps. Annual surveys are sent to customers and the end-to-end process reviewed to improve on areas where customer feedback has highlighted a problem. Jim stated that Triaster is essential for competence. When asked how big an organisation needs to be in order to benefit from the Triaster Solution, Jim said it certainly works for Openfield who employ 230 staff. He also said he didn't think it was the number of staff that is relevant, but the complexity of the organisation. Any organisation with lots of complexity can benefit from Triaster. The first Triaster Customer Experience Exchange - A great way to share best practice! Industry best practice and knowledge in our ‘best of breed’ newsletter.